A new semester means a new opportunity to use CALI to help with your classes – whether you are a professor or a law student! Next week our Director of Community Development, Sarah Glassmeyer, will be hosting two 20 minute webinars that will explain everything you need to know to start using CALI. CALI(R) is a non-profit consortium of almost every law school in the country. We provide over 900 interactive tutorials in 35 legal subjects to our members. This 20 minute webinar will be an introduction to registering on the CALI website and using CALI lessons. 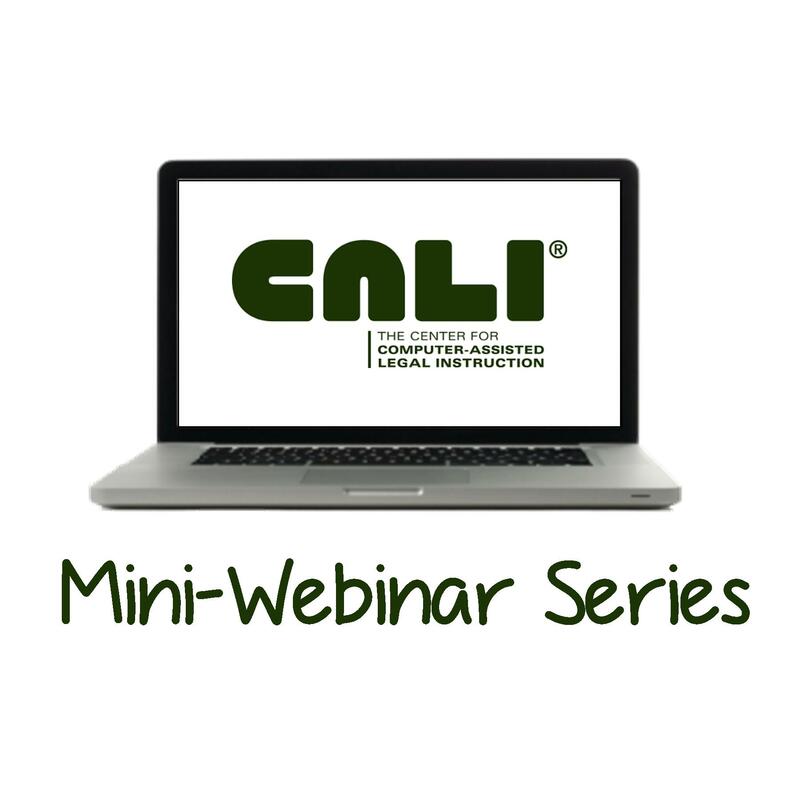 Whether you are a law professor, librarian or student, this webinar should answer many of your questions about CALI. The webinars will be Tuesday, February 18 at 12pm EST (Register here) and Friday, February 21 at 4pm EST (Register here). It will be live and any questions you have will be answered. Pre-registration is required.